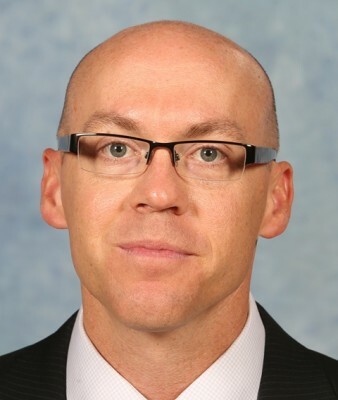 Trent May, head coach of the Grand Canyon University women’s basketball team, devised game plans meant to stop Johnna Brown whenever the Antelopes played Dixie State, their former NCAA Division II Pacific West Conference rival. Brown is still part of the game plan — just in a much different way. 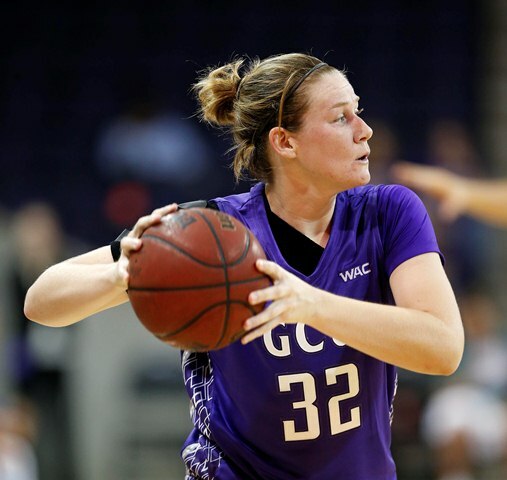 The accomplished two-sport athlete, now on May’s side, has helped lead GCU to a 10-2 record in its first season of Division I competition. Johnna Brown has been a difference maker with her rugged style of play for the GCU women’s basketball team. The Antelopes, who defeated Hawai’i, 54-51, on Monday at the Arena, will play their final nonconference game at 2 p.m. Saturday at home against Long Island University-Brooklyn. The Western Athletic Conference portion of the schedule starts on Jan. 2 at Texas-Pan American. Brown, 23, joined GCU as a graduate student this fall after earning her bachelor’s degree at Dixie State, and her bruising style of play has fortified the Antelopes against the stronger, tougher competition of Division I. She excelled in basketball and softball during her career at Dixie State, in St. George, Utah. However, her decision to play only softball in her junior year left an extra year of basketball eligibility and allowed her to play this season elsewhere. Brown said becoming an Antelope was easy because of GCU’s winning tradition. “Playing GCU (in either sport) was always our biggest game and, yeah, they were our rival, but it was hard to hate them because they were always good,” said Brown, who grew up in Las Vegas and attended Centennial High School, the same school as Antelope teammates Deanna Daniels and Courtney Hayes. “I always wanted to play here when I was at Dixie, and now I’m here and have a chance to win in Division I,” she said. Division I seems to be a breeze for the former Division II star, who contributed 11 points, four rebounds and four steals to Monday’s victory, GCU’s fifth in a row. Brown ranks third in scoring and second in rebounding on the team, with per-game averages of 11.8 and 7.8. Though undersized for her position at 5-foot-10, she starts at center and also has played the shooting guard and both forward positions at times. Brown led the Dixie State basketball team in points, rebounds, steals and assists during her career. She also ranked in the top two on the softball team in batting average, on-base percentage and fielding percentage, even though she often missed the first month of softball to finish basketball. She made All-West Region and All-PacWest Conference teams in both sports for the Red Storm. Daniels, also a fifth-year player, followed Brown from Centennial to Dixie and finds herself playing with her again in Phoenix. She missed the 2011-12 season with a knee injury, and that provided the opportunity for her to play a final season with Brown. Daniels said toughness has been the reason for the continued success of Brown, who totaled 46 points and 24 rebounds in two games against GCU last season, both victories for the Antelopes. “I know for a fact that she is ready to battle every game,” said Daniels, who won a Nevada high school state championship with Brown and Hayes. The Antelopes’ winning ways in D-II provided a smooth transition into D-I, thanks to May’s recruiting and blueprint for success. Trent May has seamlessly blended experienced players for the Antelopes. “Our defense and style of play is pretty fierce,” the seventh-year head coach says. The coach, in his seventh season at GCU, credits the Antelopes’ success to the maturity and experience of the players and a team effort on the court. GCU boasts six D-I transfers and several players 21 or older. Four of the team’s five starters are averaging double figures in scoring. May said a formula of unselfish play, excellence at details (such as rebounding and free throws) and lockdown defense has helped make the former PacWest heavyweights a WAC contender in a season in which they have every excuse to struggle. GCU has endured a tough road schedule. A stretch of six games in nine days produced four victories — including one over North Texas on its own floor — and a two-point loss to UCLA. The team’s most impressive victory of the season thus far is a 10-point win over then-undefeated East Carolina in Louisiana. May said he is happy to have Brown and other experienced hands, such as junior point guard Kaitlyn Petersen and senior forward Judy Jones, on his side. Both Petersen and Jones played previously at the D-I level. “I feel like right now, with this team, we have girls that can combat the play and toughness of other teams because our defense and style of play is pretty fierce,” said May, who led GCU to five PacWest championships.